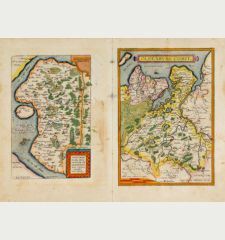 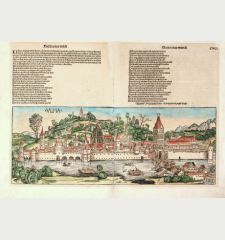 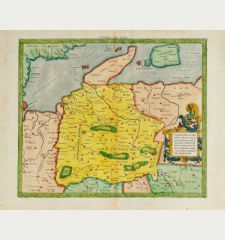 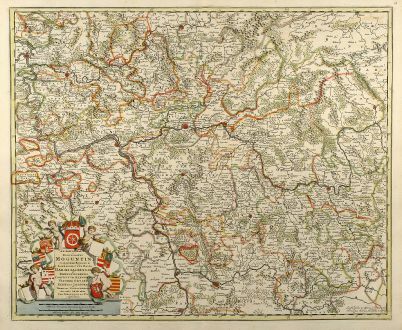 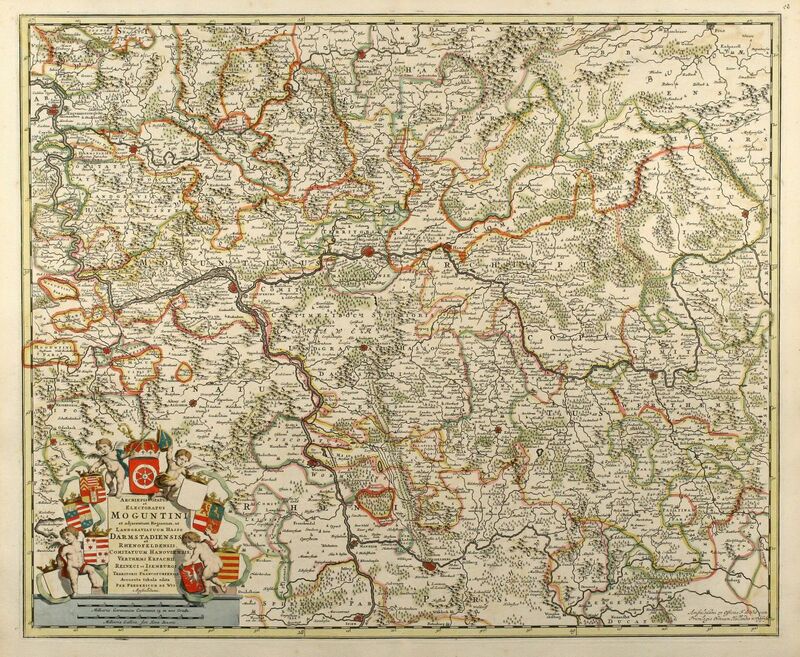 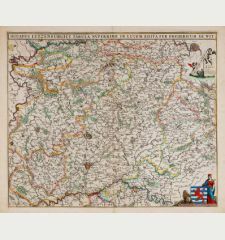 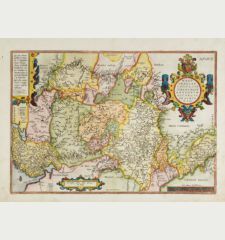 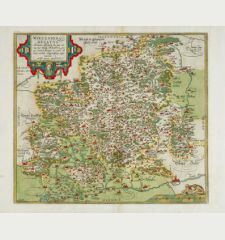 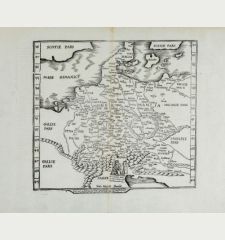 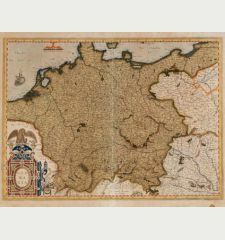 Old coloured map of the Rhineland-Palatinate, Hesse. 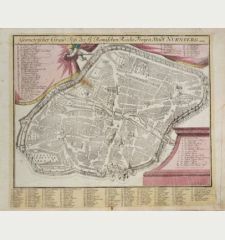 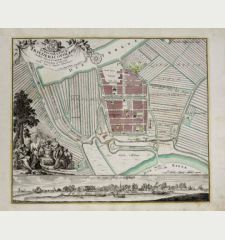 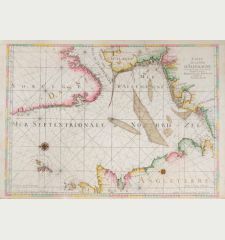 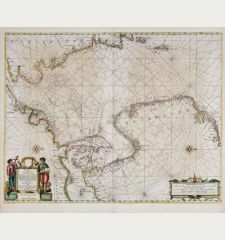 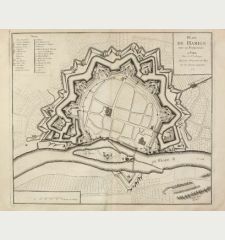 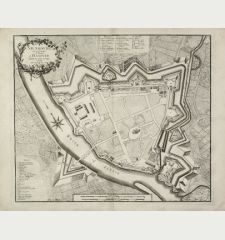 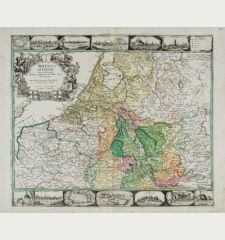 Printed in Amsterdam by Frederic de Wit circa 1690. 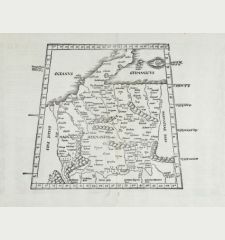 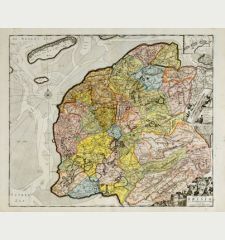 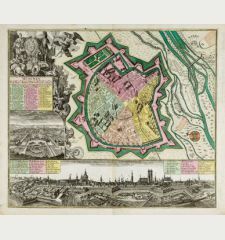 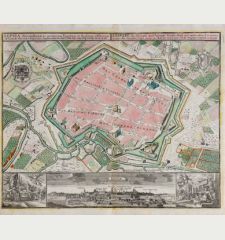 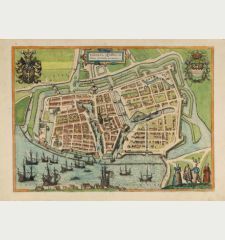 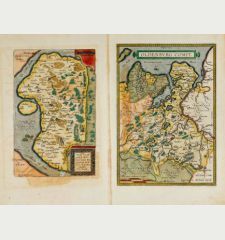 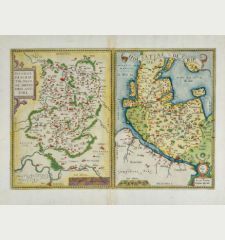 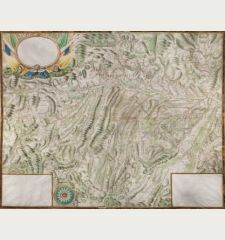 Large and detailed original old coloured map of Hesse by F. de Wit. 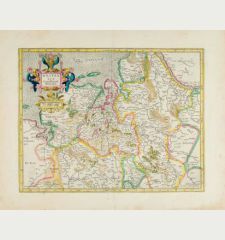 With one nice cartouches. 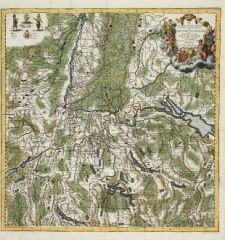 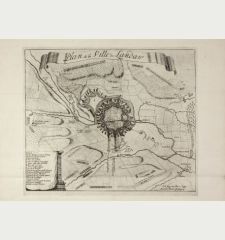 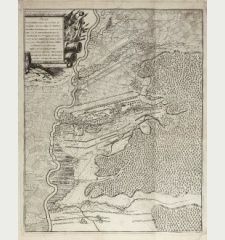 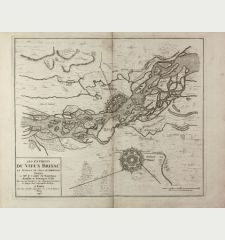 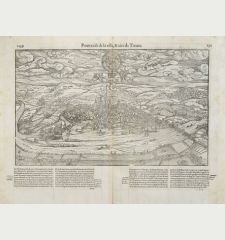 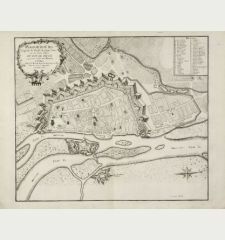 Showing the area between Biengen, Spayer, Wertheim and Wetzlar, centred around Frankfurt.